Searching for an online chemist in Spain? Did you know that you can get nearly all your favourite over-the-counter medicines, toiletries, cosmetics and other goods sold at chemists in the UK delivered to your door? Which UK Online Chemists Deliver to Spain? Most online companies won’t deliver items outside the UK, however take a look at Chemist Direct and their partner company Pharmacy2U. Both companies continue to operate separate websites, having merged to become the UK’s leading online-only chemist. How Can I Know if a Chemist is Legally Registered? Only use registered online pharmacies, this way you’ll know that all products sold are legitimate. Scroll to the bottom of a website to see the official EU logo (shown above), click to verify that the website is operating legally. What About Spanish Online Chemists? To date under 3% of chemists in Spain have opted to sell over-the-counter medicines online. These websites also have the official EU logo (with the text in Spanish) so you can check that they are legal. It’s still illegal to sell prescription medicines online in Spain. Additionally Spanish consumer organisations are not in favour of allowing it, so don’t expect changes any time soon. If you’re just looking for baby items, cosmetics and other non-medicinal items sold in Spanish chemists, PromoFarma sell the same items as your local “parafarmacia”. Also look at Amazon Spain and compare prices. Which Products Can I Buy from the UK? Prescription medicines are only for UK residents. However both companies sell top brand non-prescription products that you may miss in Spain. Additionally fragrances, toiletries, health & baby and more items are available. Some items, such as aerosols, require delivery by road-based couriers. Every week both there new promos, so check regularly to see what’s available. At Chemist Direct prices depend on weight at checkout and will be shown before you pay. Parcels should take between 5 to 10 days to arrive. You may find it useful to take a look at the EU’s advice about presenting a prescription abroad. 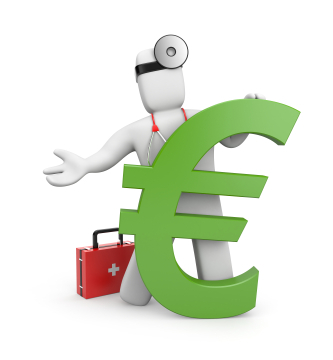 Prescriptions issued by EU doctors are valid in all EU countries, however you may have to pay full price. Pharmacy2U offers an online doctor service, however as prescriptions can’t be delivered to Spain you may only find this useful as a second opinion.